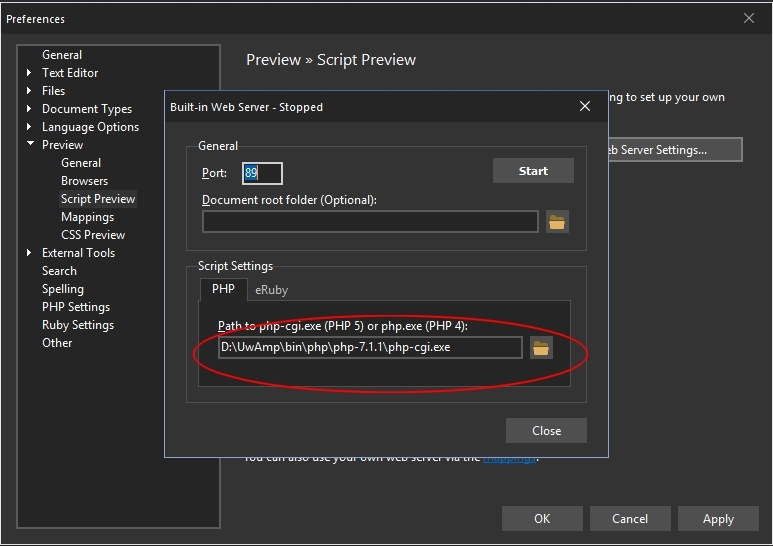 Webuilder do not change settings in Script Preview. I had to change it from registry. I changed registry but no effect. On my laptop it is ok. But not on my desktop. If I change PHP path it does not take it. It is "freezed" to initial/built-in PHP (5.6). Did you edit the registry WHILE WeBuilder was running? As it write back the values to registry when you exit the editor. There is some issue indeed, thank you for reporting this. We'll fix this for the next update.